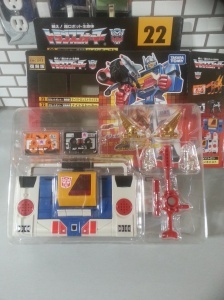 Here’s the last of the Decepticon jets – “Sunstorm.” This was never issued originally with the G1 robots in 1984 even though he appeared in the first episode of the Generation 1 cartoon. I think I have all 7 of the Seekers now, unless there are others I do not know about. 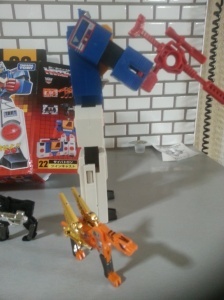 The Hasbro Masterpiece Sunstorm just came out, but the colors are awful. This will be the only Sun-storm in my collection, unless they make a nicer one. This is another one I got in Akihabara, Japan. 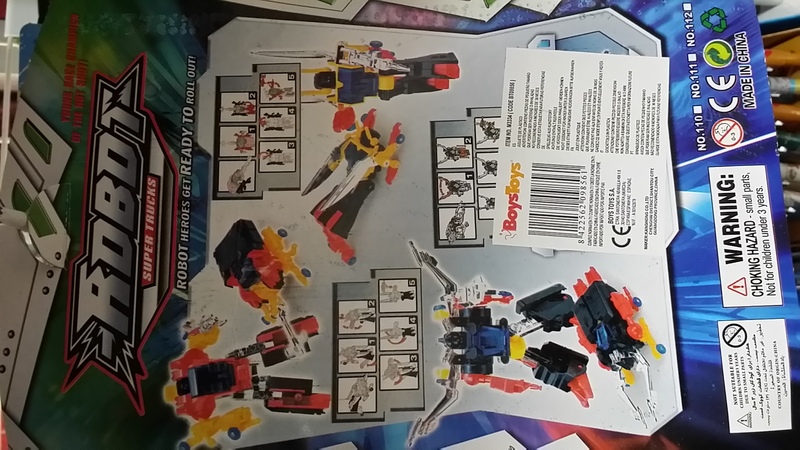 This appears to be made by e-Hobby a store affiliated with TakaraTomy that has made several exclusive Transformers redecos. I found Robot Super Trucks in Fatima Portugal. Thought it was interesting enough to post. It’s a Kickback Generation 1 Transformer bootleg Insecticon with a different color scheme instead of the typical purple and black. Glad to know the old molds are still being put to use. Sorry the images are sideways. 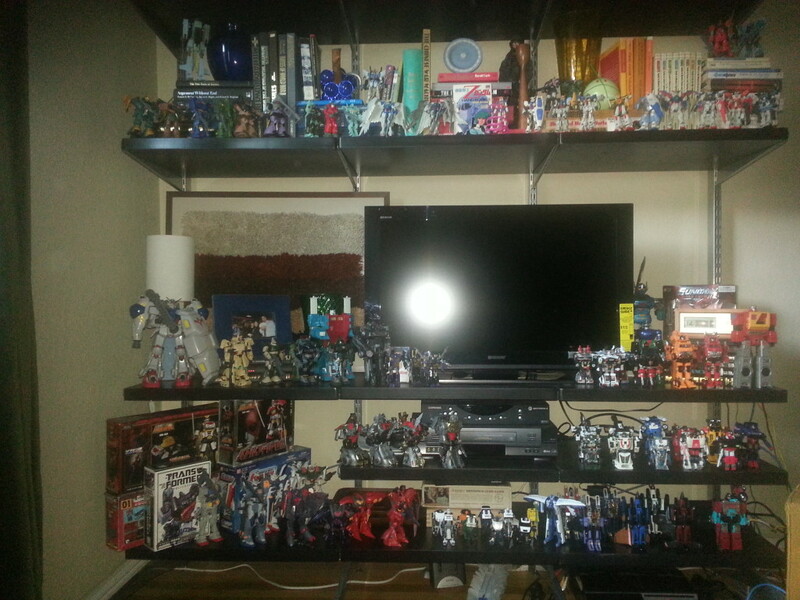 I can’t figure out how to rotate them on my phone. 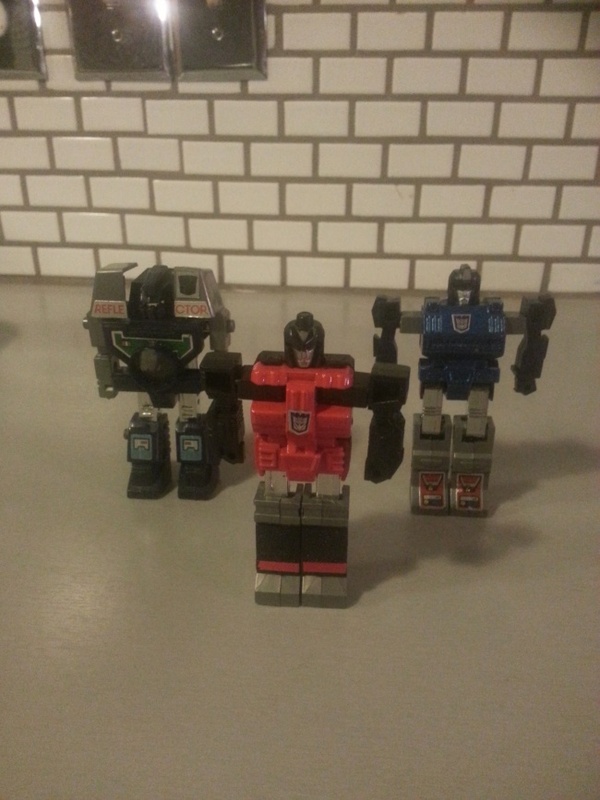 Anyway this is the Robot Super Trucks. 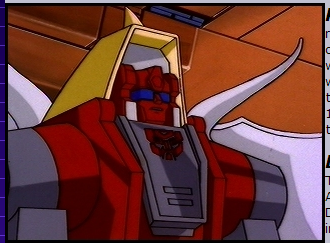 I figure this maybe an Autobot reference. I can see a few of these on eBay occasionally, but it is hit or miss. Maybe Takara sold the molds for some extra cash. I kinda wished I had picked this one up. 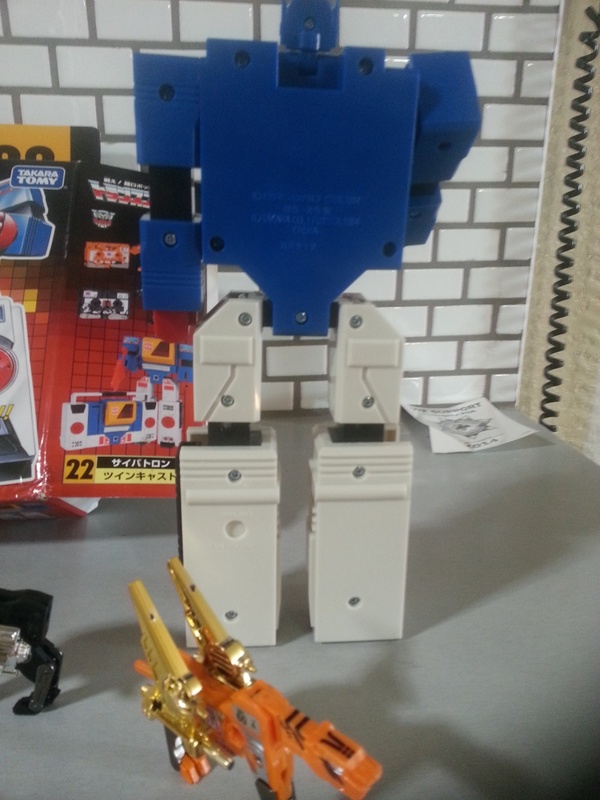 These robots do not look half bad for knockoffs. I am just not a fan of the colors or I would own this now. I am kind of kicking myself for not picking this one up. 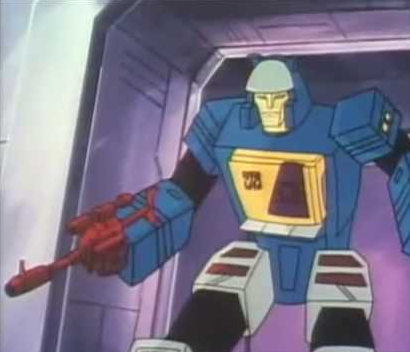 Here’s Soundwave, one of the G1 Transformers I never had as a kid. I had a loose one at some point but traded it. 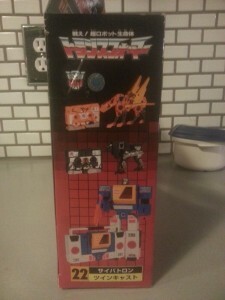 This re-issue comes with two of the Decepticon tapes – “Laserbeak” and “Ravage.” This is the Soundblaster version. Soundwave is upgraded to Soundblaster in later iterations of the cartoon. I bought this in Japan at Mandarake, Akihabara branch for 52 dollars. If I were to buy him here, he’d be double the price, maybe more since I never saw him at Toys R Us when these were re-issued in the early 2000’s. I haven’t put any of the stickers because I’m afraid they will come off over time. 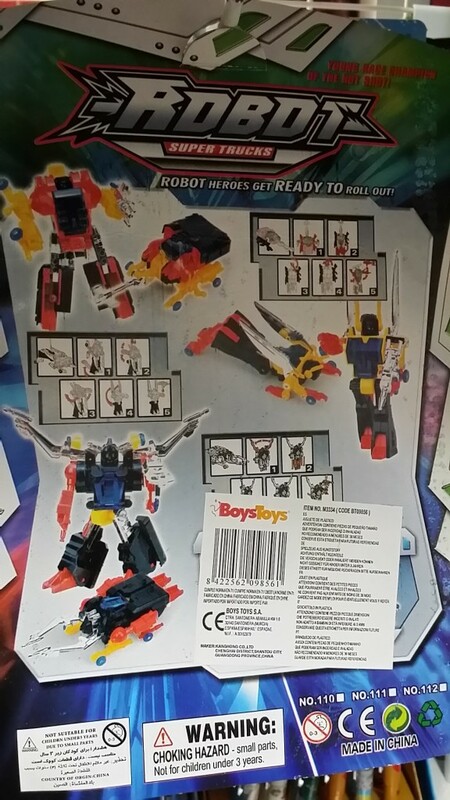 Here’s a Japan-only issue of Blaster redone in blue and yellow -named as “Twincast.” I bought this because I didn’t have any of the Autobot tapes. 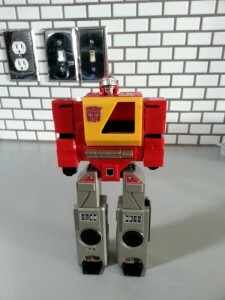 I thought he was worth it for 80 dollars since he came with two of the Autobot tapes. 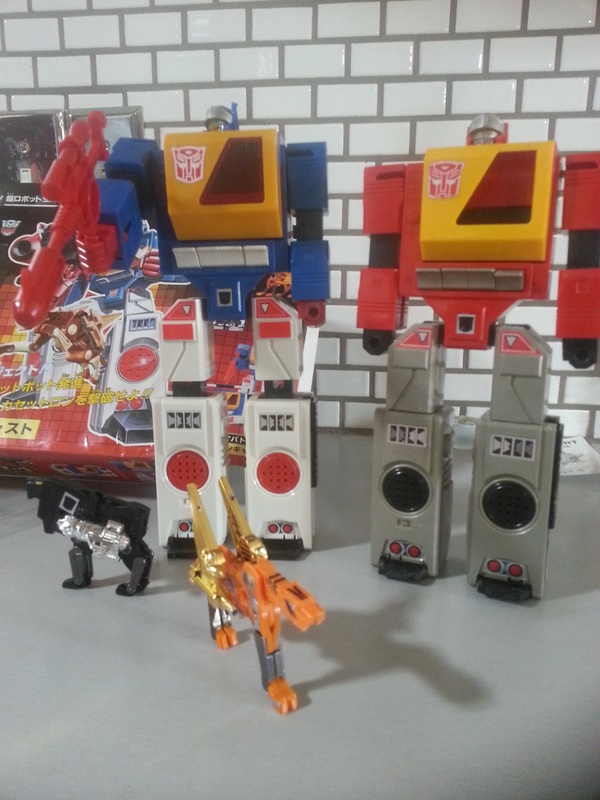 I’ve also included a picture of Blaster for comparison. 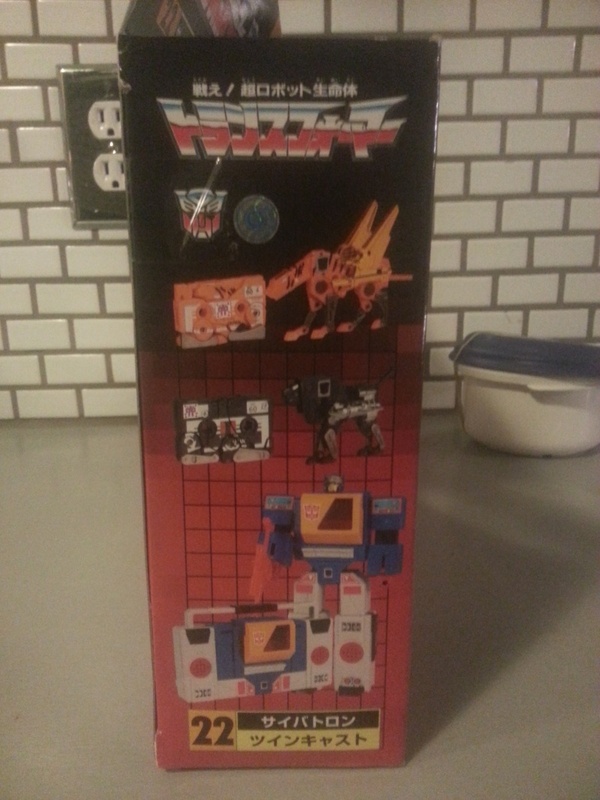 I have finally taken him out of the box, along with the two tapes that came with him (“Nightstalker” and “Stripes.”) I never had any of the tapes as a kid and I’ve casually looked for them online but they are so expensive for what they are – I usually see them for about 30 dollars each! So, I decided to buy this encore, Japan-only re-issue to get Twincast and two tapes. 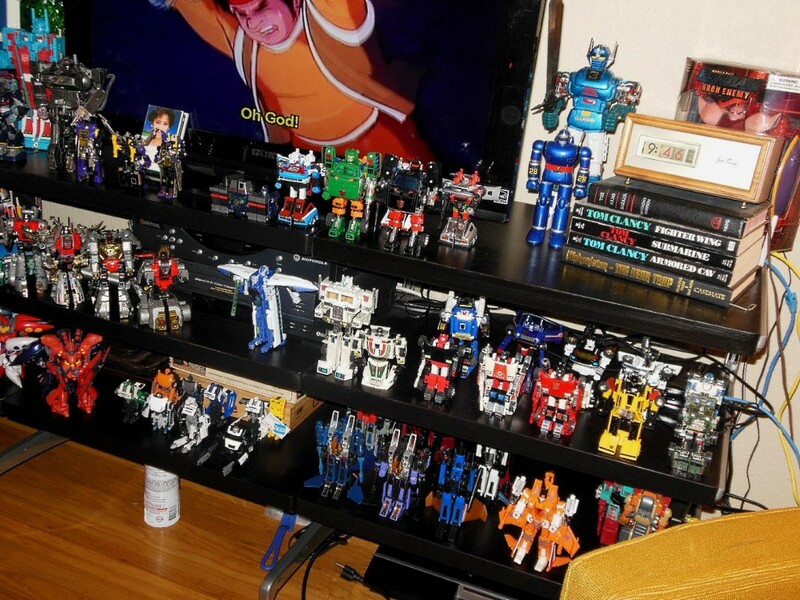 I believe there are 10 Decepticon and Autobot tapes. 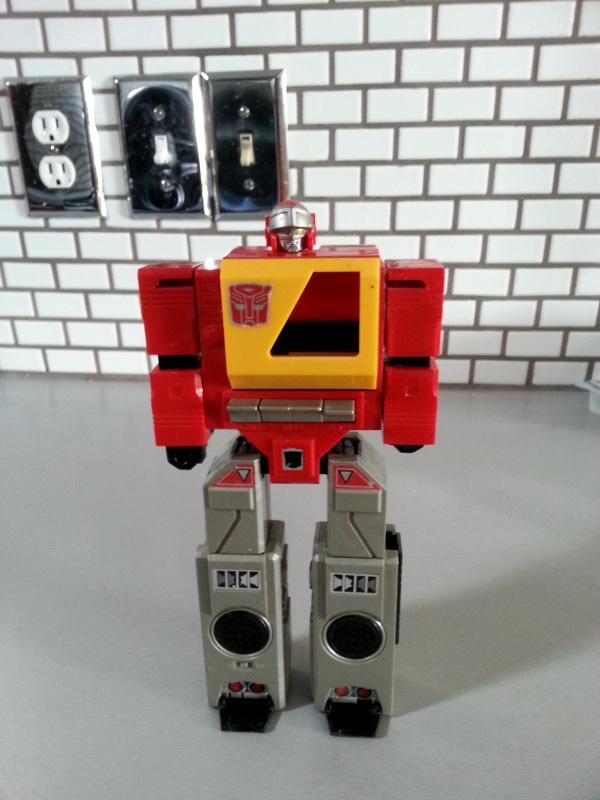 Here’s a loose version of the Decepticon camera – “Reflector.” This is another one I never had as a kid but I was fortunate to pick him up loose for under 30 dollars. 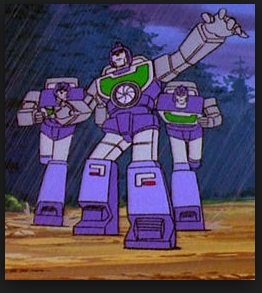 The color scheme in the toy looks different from the cartoon as the cartoon shows him as purple/green. 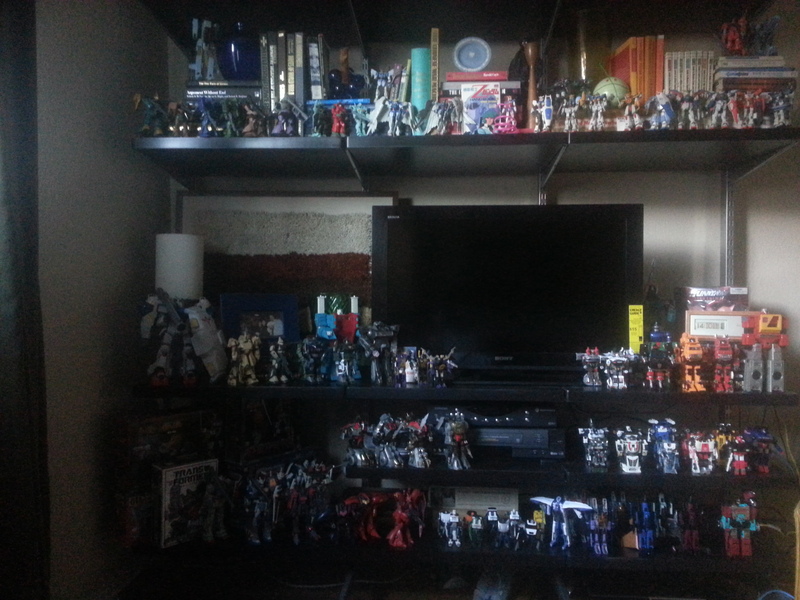 Hopefully the pictures come out ok (might be some daytime glare/flash glare) but here’s my display of all of my Transformers. To the left of the t.v. 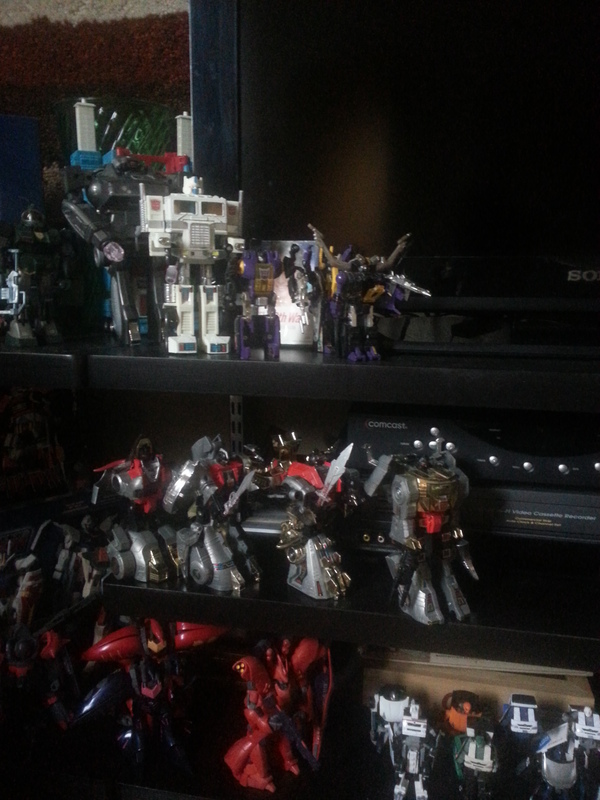 you’ll see the Insecticons, Ultra Magnus (White Optimus Prime), Shockwave. 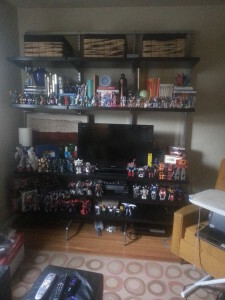 To the right of the TV, you’ll see the 3 280ZX cars (Smokescreen, Prowl, Silverstreak), Hoist, Trailbreaker, Grapple, Inferno, and Blaster. One the 2nd shelf, you’ll see my four Dinobots. 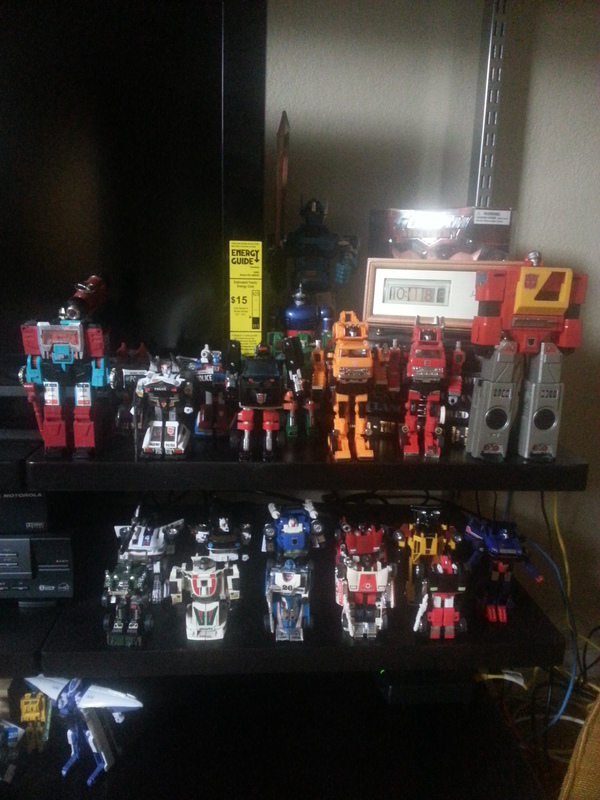 I’m still looking for the Swoop (the Petradactyl) and the rest of the G1 Autobot cars for my Transformers Collection. The bottom shelf has my collection of the 6 Decepticon planes. 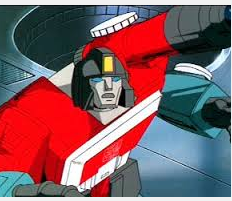 Evidently, there is one more called Sunstreaker (he’s yellow) but I’ve never seen him as a child but I have seen recent versions of him. So my pictures were so bad, I decided to get a few more that were still pretty bad. Oh well, at least they were not as blurry! 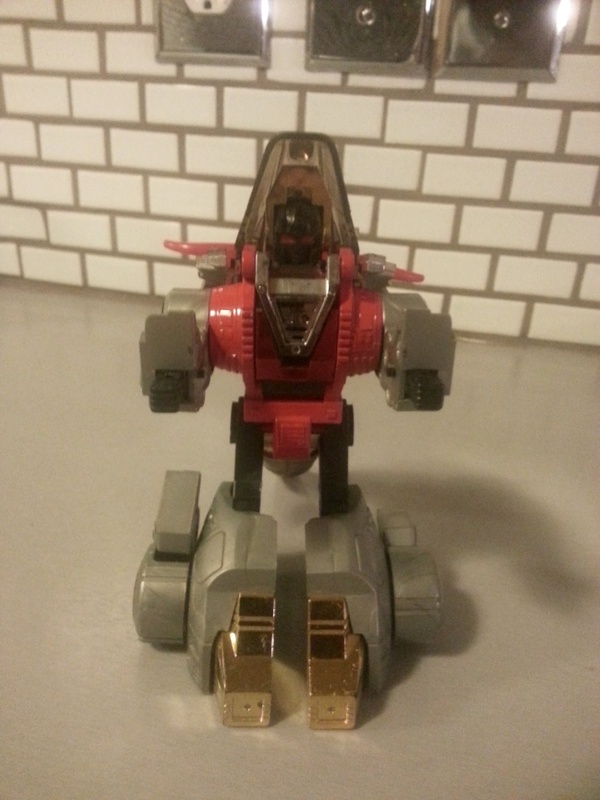 Here’s another loose Transformer that I just purchased – this one’s “Slag” – one of the 5 Dinobots. 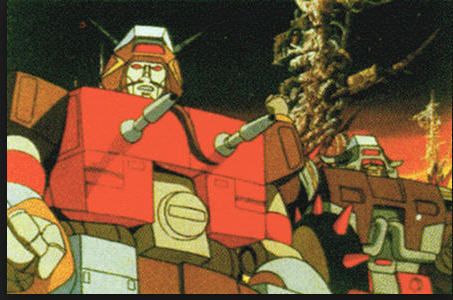 As a kid, I had Sludge, Grimlock, and Snarl. 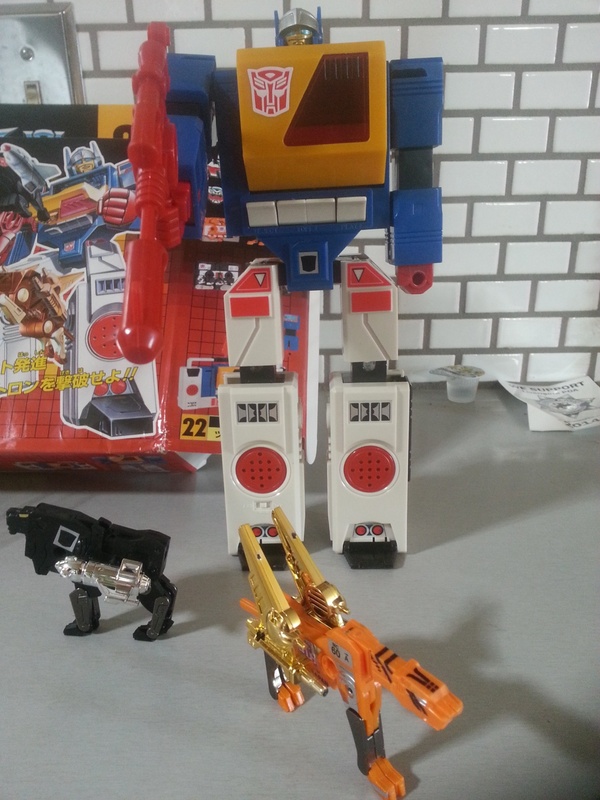 I now have the Dinobot Slag and I’m trying to see if I can complete the set and get Swoop, but he seems to be the hardest to get and the most expensive because you rarely find him in good condition. I’ve noticed he usually has a broken beak or wings. 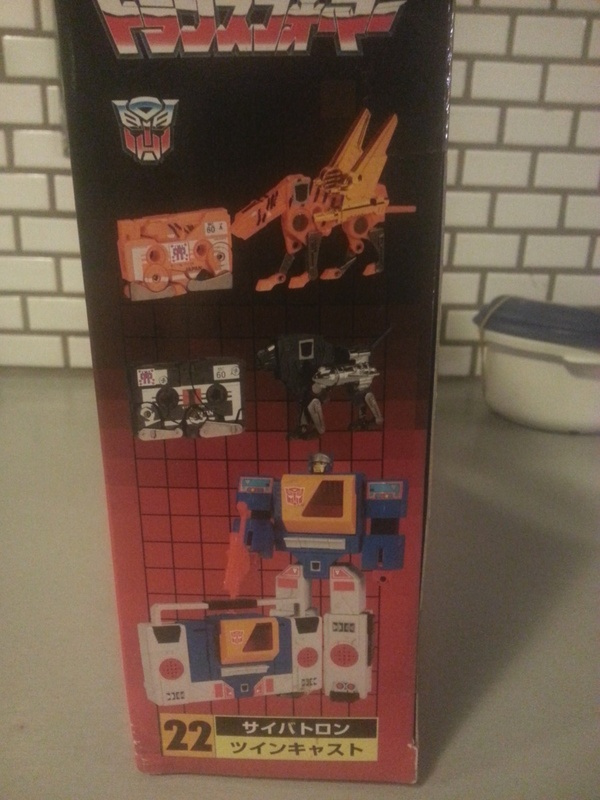 When I do find him in good condition, he’s at least $70-80 loose and 100+ in box. 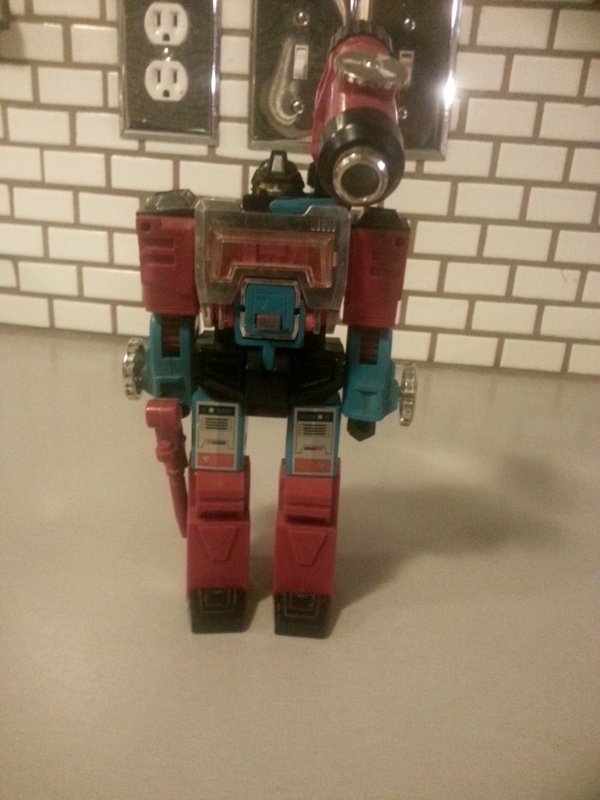 Here’s another new one I just got and another one I never had as a kid – Perceptor – the Autobot scientist. 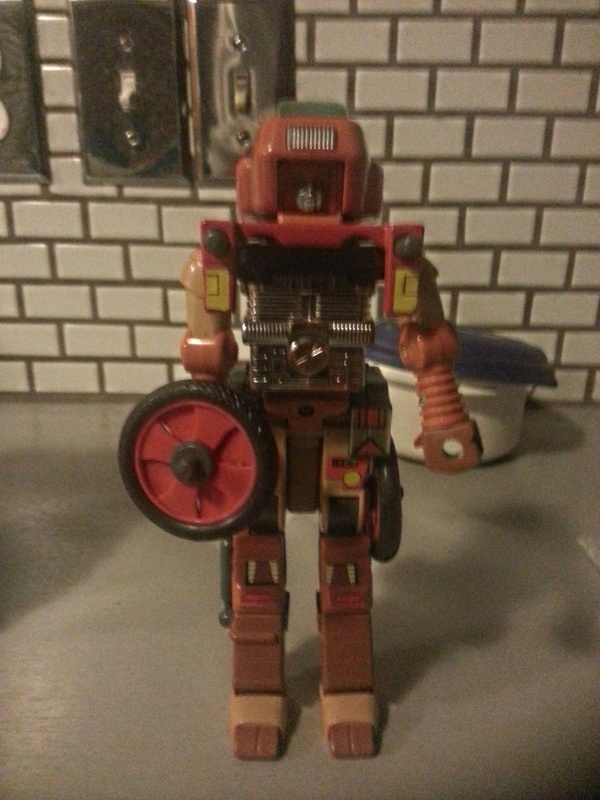 I picked him up for 30 dollars and I’m quite happy with him as he’s mostly complete and he has very little wear. 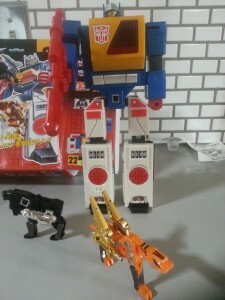 I would have picked him up as a kid but they just kept pumping out Transformers and I couldn’t keep up!